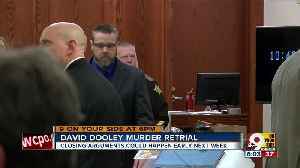 A judge on Thursday sentenced David Dooley to 43 years in prison for the murder of his co-worker. Last month, a jury convicted the 45-year-old of murdering Michelle Mockbee in 2012 at the Thermo Fisher Scientific warehouse where they both worked. 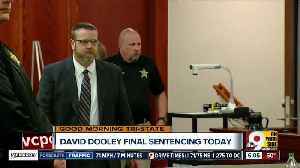 FIRST AT NOON...DAVID DOOLEYIS HEADED TO PRISON... FOR THENEXT FOUR DECADES.DECADES.THE JURY ANNOUNCEDTHIS MORNING IT HAD SENTENCEDTHE NORTHERN KENTUCKY MAN TO43 YEARS IN JAIL..38 OF THOSEYEARS ARE FOR MURDER.THE OTHERFIVE..
ARE FOR TAMPERING WITHEVIDENCE.PROSECUTORS SAYDOOLEY KILLED MICHELLEMOCKBEE... TO COVER UP THEFACT THAT HE WAS TRIPLEDIPPING TIME CARDS.Jennifer Schneider sisterwithall due respect to the juryand their recomendation of 38years for murder and 5 fortampering. 43 years just isn'tenough for the act of pureevil carried out by david dooleydooley.DOOLEY WAS CONVICTED EARLIERTHIS CONVICTED DOOLEY WASTHIS YEAR OF KILLING MOCKBEEBACK IN 2012...áTHISáRE-TRIAL..
His second trial for the murder of coworker Michelle Mockbee ended the same as the first: A guilty verdict and a long prison sentence. 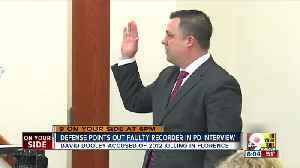 A judge will sentence David Dooley Thursday. 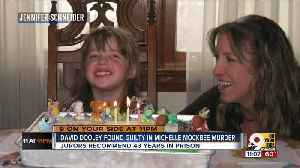 A jury convicted Dooley in the death of his coworker, Michelle Mockbee. 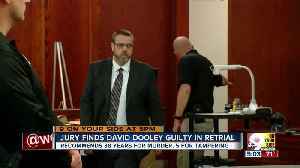 Despite the introduction of new evidence, David Dooley was again found guilty of murdering former coworker Michelle Mockbee in 2012. 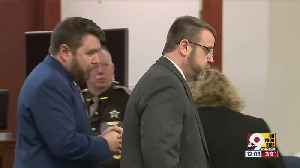 Her family said the verdict, which arrived after six hours of jury..
A jury found David Dooley guilty for the second time in the death of his coworker and recommended a total sentence of 43 years in prison. 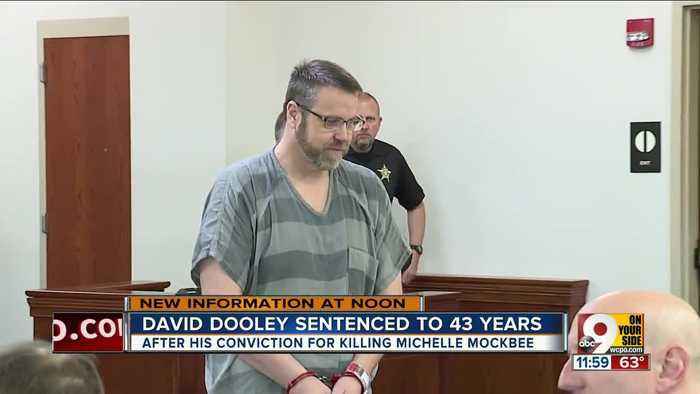 Dooley, 45, was convicted of murder and tampering with..
David Dooley is accused of killing Michelle Mockbee in 2012. 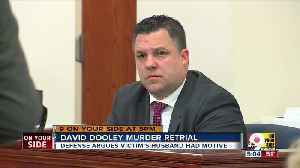 David Dooley is on trial for the death of Michelle Mockbee. Viewers of Netflix's "Making a Murderer" may recognize the forensics expert who testified in David Dooley's retrial Friday. Dr. Karl Reich, who fans of the documentary series may recall as a DNA..